The spirit of love permeates all the writings of St John. 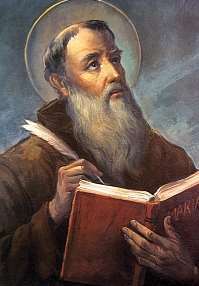 St Jerome tells us that when he was an old man the single theme of his preaching was: “My little children, love one another.” When the faithful asked him why he did not preach on something else he replied that this was the Lord’s commandment and that if this is fulfilled it is sufficient. He died peacefully in Ephesus about the year AD 100.